Select the right Magento template for your site without spending a single penny from your side. A website can only serve its purpose in a better way if it is engaging and equally appealing for its targeted customer base. The impression about your services or products is judged by the first impression of your site only and hence it needs to be an “eye candy” for everyone. If there is one thing that has a tremendous impact on the website appeal and design, it is none other than the templates of your site. Here, in this blog, we are talking about how to get an engaging Magento site for your customers in an trouble free manner. If your Magento site is not capable to draw required number of customers and conversions for your online business, it is time to utilize the services of an infallible Magento template development services of Velocity for a quick website design overhaul. Check out some of the cool and engaging free Magento themes for your site for grabbing higher conversions and sales quickly. Take a quick look below. Install this F2 Magento 2.0 theme for offering a better visual experience and functionality to your customers. This is one of the free Magento theme that is capable to grab the instant attention of your Magento customers. The F2- Free Magento 2.0 theme offers an engaging look and improved functionality to a Magento site. With the features like absolute responsiveness and hassle free navigation, customers on a Magento site will have a better user experience. The template can be used for a wide range of online businesses. Based on the expertise offered by a well known Magento template customization services such as Velocity, it now easy to customize a Magento template based on your business requirements. 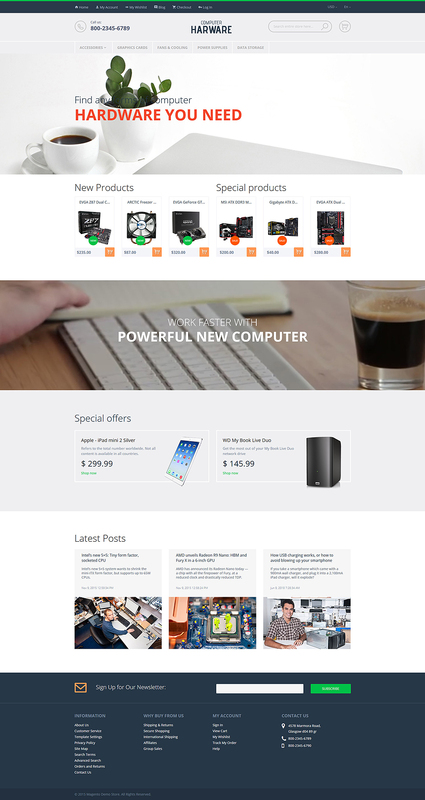 Get a neat, clutter free Magento site with this Ketty Magento 2 Beta template. Ketty Magento 2 Beta is one of the most professionally suitable Magento template for any Magento site. It is a grid based content block layout, retina- ready images and other modern fonts that help in showcasing the available products on a Magento site in the best possible manner. If you want, it can be effortlessly customized to meet your business specifications and expectations in the most appropriate manner. Achieve your Magento store in a quick manner with this Vini free Magento template. This amazing Magento free template is meant for the people that are thinking about creating a Magento site in a flawless and easy manner. It consists of a clean layout that can grab the instant attention of targeted customers. The template contains a wonderful feature that helps in sorting the products through the use of multiple filters. Apart from this, it do consists of an attractive slider that can help in the promotion of a Magento site by displaying the best items or hot offers in an easy manner. 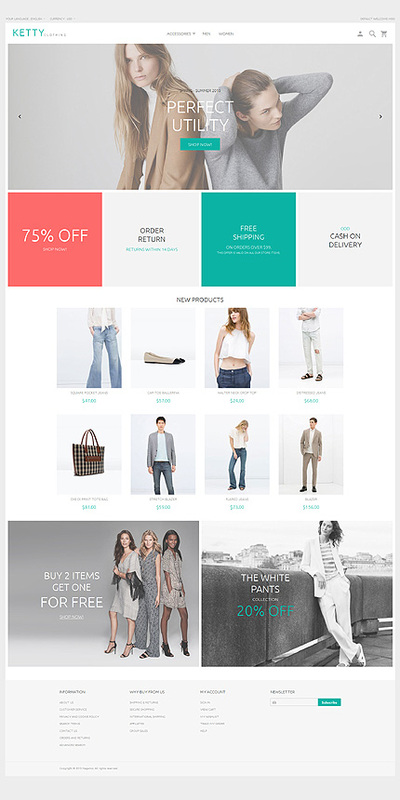 Achieve a better website design through the engaging color scheme of this Magento template. Among various Magento template development services and the templates offered by them, this Computer Hardware Magento theme has become incomparable due to its superb quality design and enhanced functionality. The template is ideal for a wide range of online businesses like electronics, cars, sport, music, books and other types of eCommerce stores. Due to its vibrant design along with the color scheme has improved the displaying of products on a Magento store to a great extent. Offer a more engaging experience to your Magento customers with the help of this Magento template. With the help of this eye catchy Marine Store Magento theme, site owners can provide a more adventurous experience to its customers. The template is packed with transparent text block slider and a sketchy compass that offers an amazing engaging view to Magento customers. It also provides banners of different shapes that can help in the better promotion of special offers or new products among your targeted customers. It is time to include these free Magento templates into your site to improve its visual look, design and appeal among your targeted customers. In case, there is any requirement for any customized changes in your Magento template for improved store functionality, do visit the Magento template development services of Velocity for a quick solution. Contact us on the number +91-120-4243310 or you can also send us an email at inquiry@velsof.com for getting an visually engaging Magento site.